3 Does the product provide any value for money? To buy a quality commercial-level 3D printer, you would need over $10,000 in the past. You would also require expensive filament, which would only work for a single machine. Closed-source systems have slowed down the industrial advancements and therefore the prices have remained relatively high. The money you would require to buy a 3D printer for your business some years ago would have outweighed the expected rewards. However, the 3D printing industry has highly changed within the last few years. In fact, the price of the available machines has drastically dropped and the performance has greatly increased. That is particularly the case for all desktop printers – but not for the commercial-level printers. The days for very expensive commercial-level 3D printers are long gone. Today, the market offers numerous affordable industrial-grade printers. That should be good news for any entrepreneur, small business and designer planning to harness the benefits of this technology. 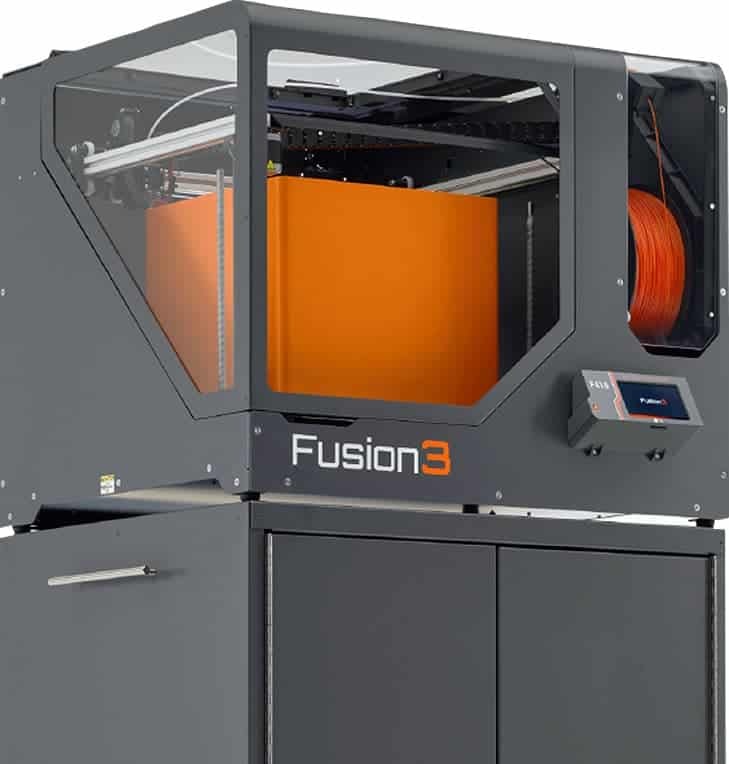 Fusion3 F410 is among the leading 3D printers in the market today. It offers all benefits of industrial-grade 3D printers like precision, speed, and capability. Even though the manufacturer designed it for the industrial world, it looks and feels like a desktop printer. The F410 comes with ample 355mmx355mmx315mm-enclosed build volume. The aluminum enclosure offers an unchanging heated environment that comes in handy when printing with higher temperature materials. The 3D printing machine also comes with a multi-zone bed, which stabilizes the temperature at 450 C across the machine’s print platform. If you are planning to use engineered-grade materials such as Nylon, ABS and Polycarbonate, the machine will help you achieve that. The product offers one of the best hot-ends you will ever find in the market. The all-metal fully customizable hot-end can withstand temperatures below 300 degrees Celsius. The manufacturer uses stainless steel to make it, which allows it to hold up to the abrasive filaments for longer periods than the general brass nozzles. Your filament options are endless with the hot-end. In fact, E3D made the entire modular ecosystem for hot ends. People who are looking to modify or upgrade their hot-ends will have more options when using the product. The speedy printing is among the features that will definitely appeal to you, particularly if you are an engineer or a designer. The maximum print speed stands at 250mm/s and allows speedy prototyping in addition to more efficient workflows. If you like quality prints, the Fusion3 F410 offers 20 microns layer resolution and 0.003 inches print tolerances. If you need the Fusion3 F410 for classroom usage, you should not expect accidents. Its print bed enclosure will protect your students and other users from the heated print bed or nozzle. The HEPA and carbon filters will reduce harmful emissions and odors. The machine is quiet and maintains distractions to the minimum. With the Fusion3 F-410 printer, you should not expect the downsides associated with using a single filament. The product’s E3Dv6 hot-end allows the functionality. With the device, you can use any filament regardless of the type and create great prototypes. The 3D printer makes ABS, PLA, PET, ASA, Polyester, Flexible, Nylon, Polycarbonic Acrylic and many other types of prototypes. To learn more about the certified filaments, you just need to visit the Fusion3 website. The manufacturer has been pushing to grow the certified filaments list. The manufacturer redesigned the extruder completely to include a filament-monitoring feature. The feature pauses the printing job when the machine if the extrusion stops or runs out of the filament. The machine also comes with an effective cleaning mechanism and interchangeable hardened steel nozzles in addition to the integrated E3D Volcano hot-end. To buy the product, you need $4,599. In other words, the product is an affordable way of adding higher performance 3D print capability to any business. Fusion3 provides competitive leasing alternatives and discounts for people who order four or more devices. This is the most affordable commercial-level3D printer in the market today. The manufacturer offers 2 years guarantee. The warranty is currently the longest in the industry and covers workmanship and materials. You will also get lifetime e-mail and phone support from the manufacturer. That offers access to the Fusion3 experts and support staff to troubleshoot the arising issues and help you improve your personal experience with the device. If the warranty and the lifetime support are not enough, you can go for the enhanced support plan. With the advanced plan, you will get advice for the advanced and basic operation and the model support to ensure that you are creating the best designs. After the warranty has ended, Fusion3 will provide replacement parts as they wear off. Does the product provide any value for money? Even though the manufacturer offers the product at a lower price, you will get a large build area, industry leading support and warranty, access to great slicers, industrial-grade performance and the ability to use 30+ types of filaments. The product is nearly unbeatable. 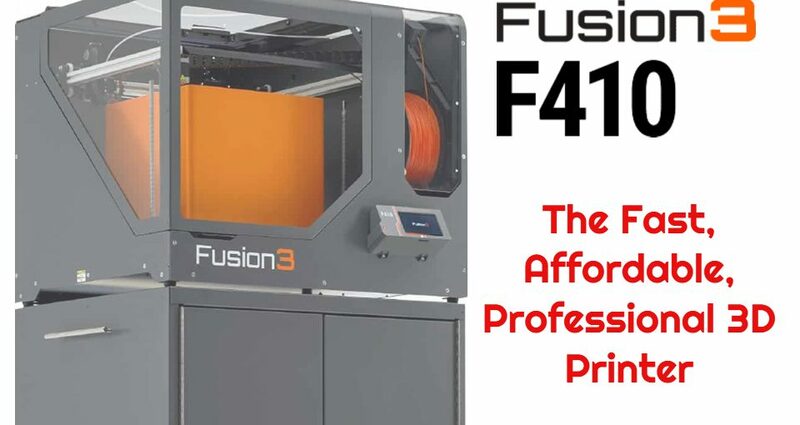 If you are an educator, own a business, or you need a 3D printer for any other reason and you can afford to buy it, the Fusion3 F-410 printer is a good go for. Fusion3 packed everything that you might have wished a 3D printing company would provide you within an affordable higher performing printer. It beats the competitors in almost all possible categories. Performance, price, parts, usability, and design – everything is ahead of other devices. This beautiful 3D printer can outperform the most expensive printers in the market. And most importantly, it offers the many features at a lower price.